Eating Pleasure is one of the Malaysian food blogs I have been following silently for a long time. I drool over the delicious foods posted on Eating Pleasure—delicious home-made dishes, eating out, and simply gorgeous and mouthwatering food photography. Authored by Little Inbox, a wedding photograher, Eating Pleasure whets my virtual appetite, especially when I miss the foods from home. The guest post today is mee udang or Malay prawn noodle, commonly served by Malay hawkers at their “warung” (small cafe) by the coast in Penang, using the freshest catch from the sea. 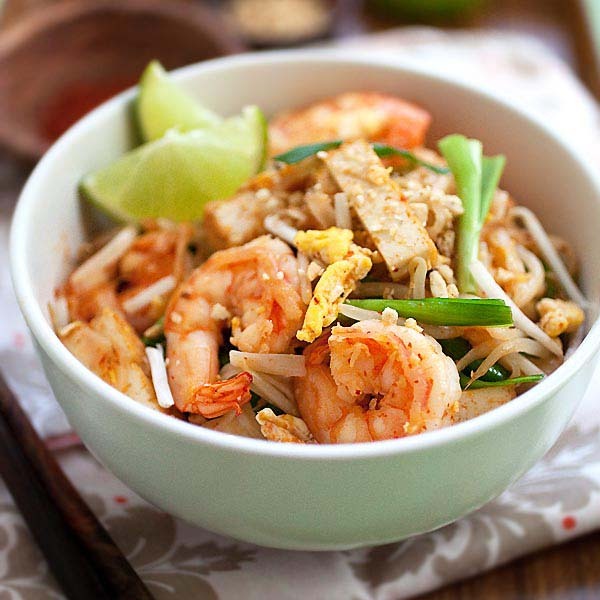 (Mee Udang is vastly different from Penang Hokkien Mee, or Chinese prawn noodles.) Please give your warmest welcome to Eating Pleasure! It was a surprise to me when Rasa Malaysia emailed me for a guest post invitation. I’m so happy to be given such an opportunity. It’s such an honour for me to write on a Malaysian’s famous food blog—Rasa Malaysia. My place is just walking distance to the seaside. I can get fresh sea prawns directly from fisherman at a very low cost. That gives me the privilege to share my home cooked Mee Udang here. 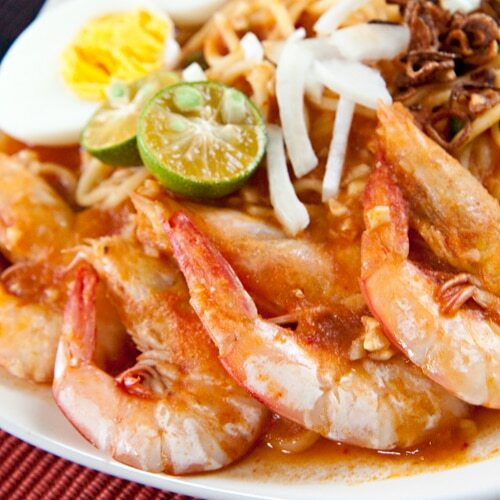 A plate of yellow noodle top with huge fresh prawns in sourish tomato gravy, it is indeed appealing. Blend the diced tomatoes with 400ml of water. Set aside. Blanch the yellow noodle and set aside. Heat enough oil in a wok, deep fried sliced shallot till golden brown, set aside. Leave about 2 tbsp of oil in the wok, saute garlic till fragrant. Add prawns and stir fry with 1 tbsp of light soy sauce for 1 minute. Pour in the tomato puree. Add tomato sauce and chili paste. Bring the gravy to simmer under medium heat. Add sugar and light soy sauce to taste. Add in the yellow noodle to the simmering gravy. Mix well. Serve up and garnish with onion, spring onion, egg, lettuce, calamansi lime and fried shallot. 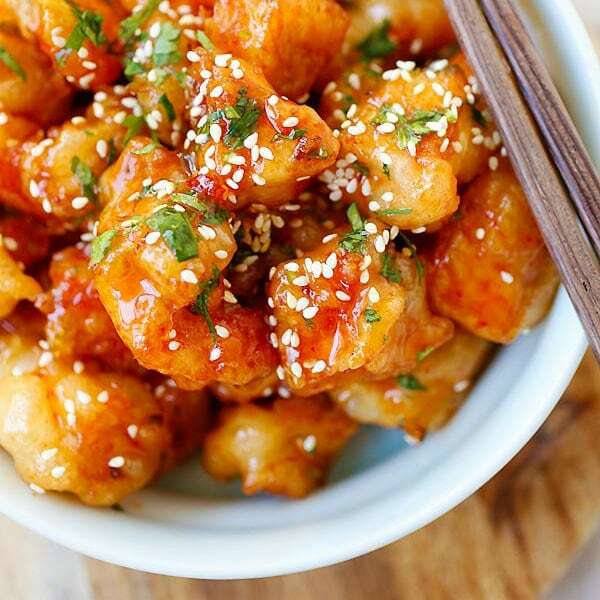 This is a very simple and tasty looking dish. You could garnish with whatever you liked to make it a simple weeknight meal or something more special. My mouth is watering just reading the recipe! I can’t wait to try this! My prediction? Squirrel will DEVOUR this. Those prawns look mouth-watering. What a great recipe! This noodle dish looks very refreshing with its tomato based broth and lettuce as garnish. Is calamansi commonly used in Malaysia? The clear fact is the more my eyes follows your texts and photos, the more I like Malaysian food! Another dish that I miss a lot. Love all the prawns there…my favourite. Looks absolutely delicious, Little Inbox! It’s making me drool! Oooh, oooh, oooh, prawns look very juicy and delish. Love crispy shallot garnish. My mom made a very similar dish with big head prawns, so it’s very nostalgic. Thanks to both for promoting scrumptious Malaysian dishes. Mee Rebus uses sweet potato as the gravy. I think the taste is closer to mee jawa, but without certain toppings. Those prawns and the crispy shallots look drool-worthy! Mmmmmm, nice mee udang, there are a few famous shop in my hometown near Sg Dua, Butterworth! 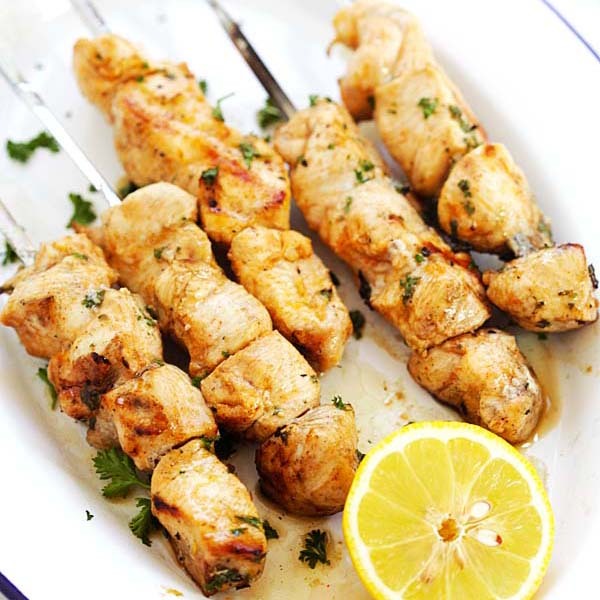 Mouth-watering looking dish! It reminds me that it’s time to book an air ticket back home now. LOL! Wow. Thanks for the recipe. My wife is Asian and I know that she misses Asian food. So, tonight i will take this recipe into fruition! LOL. THanks for sharing this one. How much tomato puree will you add? Puree not mentioned in ingredients. It really looks great! 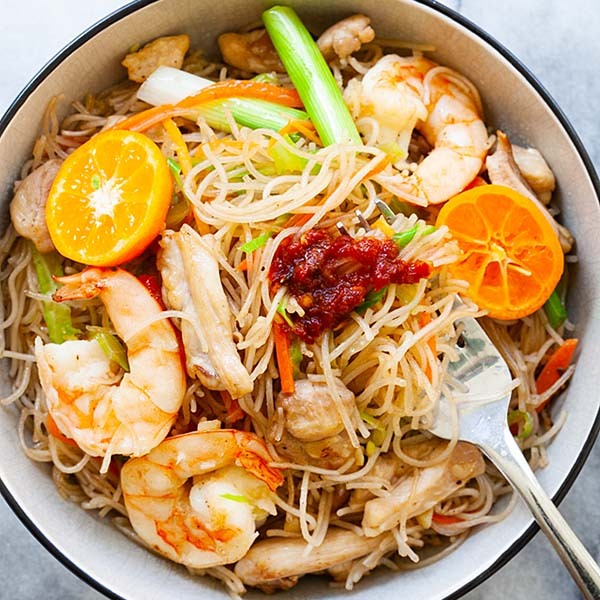 What is the name of the yellow noodles and in case that calamansi limes are not available can I use the regular limes? The yellow noodles are marketed as Taiwanese noodles, they are available fresh in Asian stores. Yes, you can use regular limes. Is this the same food with Mee Rebus India? Not sure what is mee rebus India. May I know what kind of Chili paste used in this recipe? what kind of chilli paste is used in this recipe? One of my favourite! Always wanted to cook it myself. Definitely gonna save up this recipe. thanks for sharing!